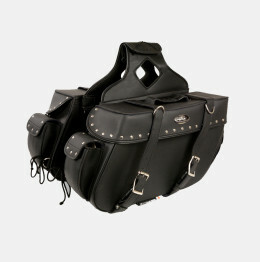 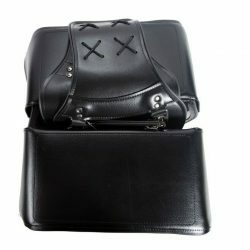 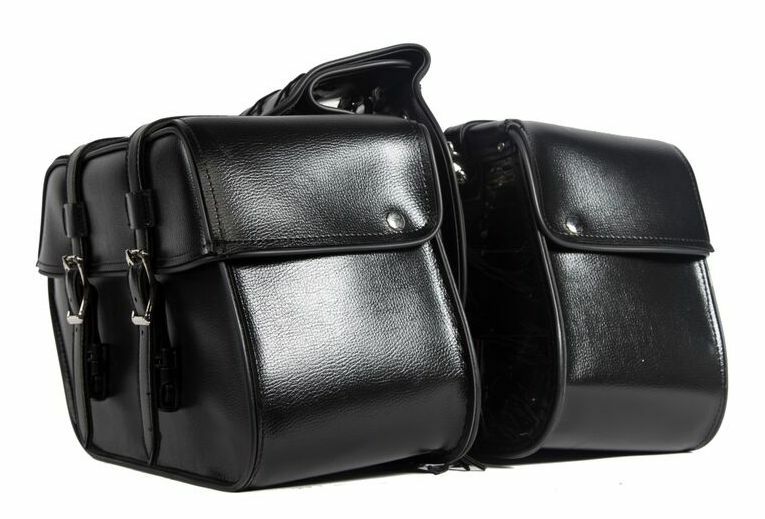 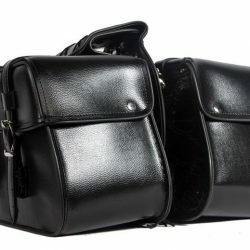 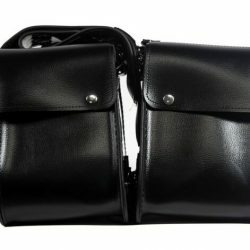 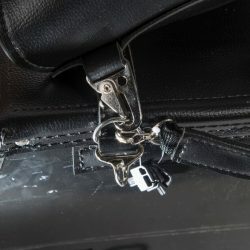 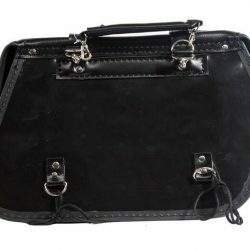 Motorcycle saddlebags are for medium or small items only. 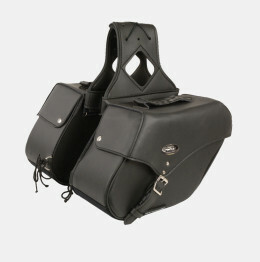 However, with our heavy duty built our saddlebags are capable of withstanding any challenge thrown at them. 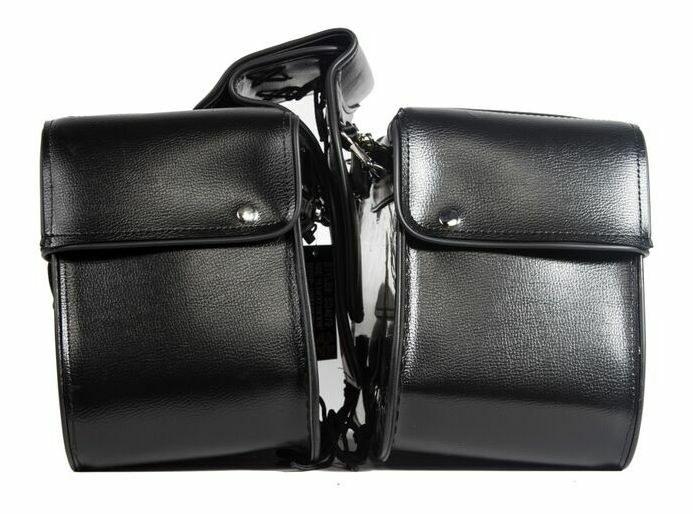 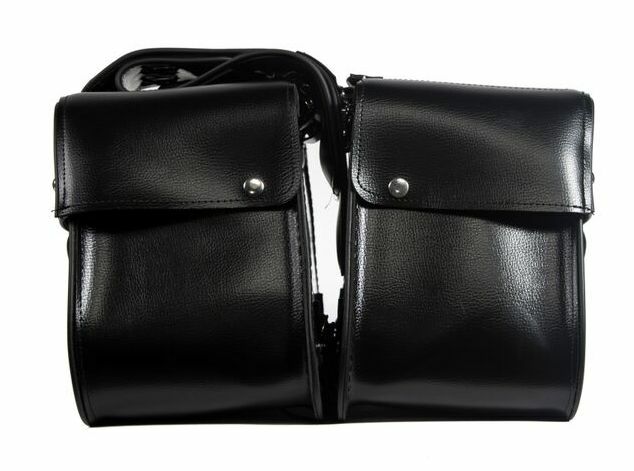 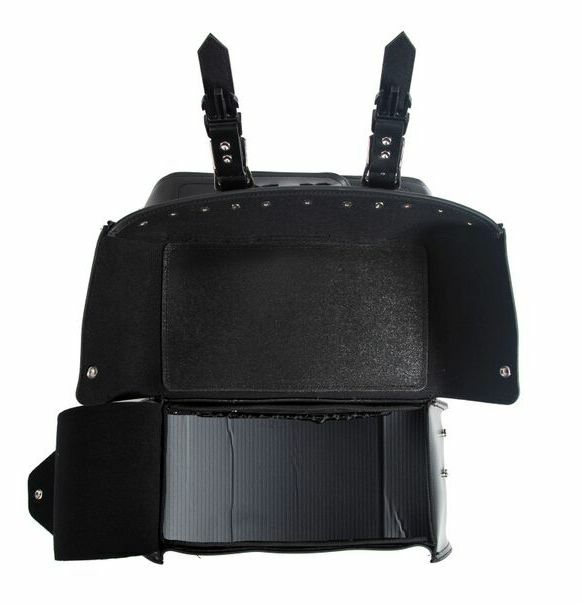 This motorcycle saddlebag features heavy duty quick release, and it is 100% water resistant. 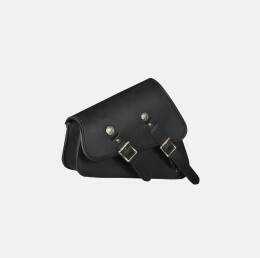 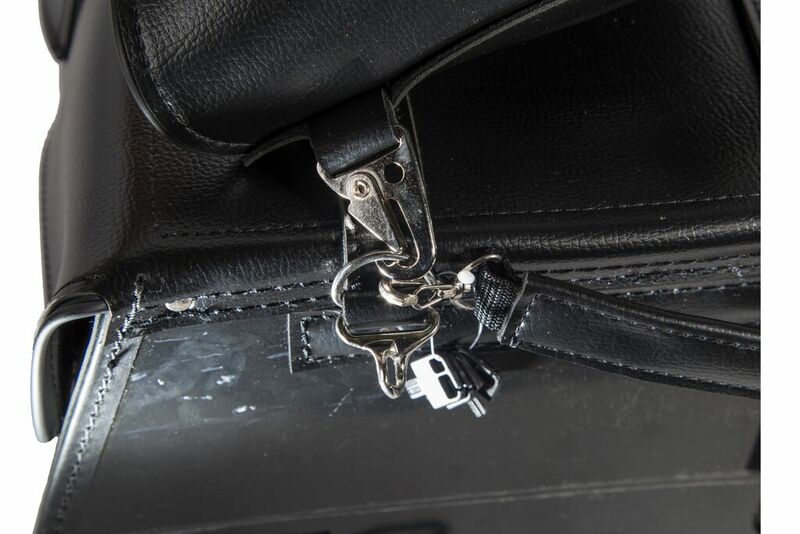 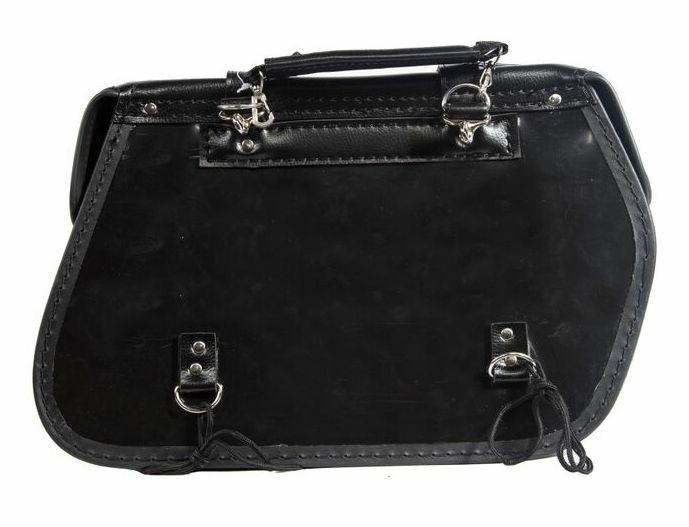 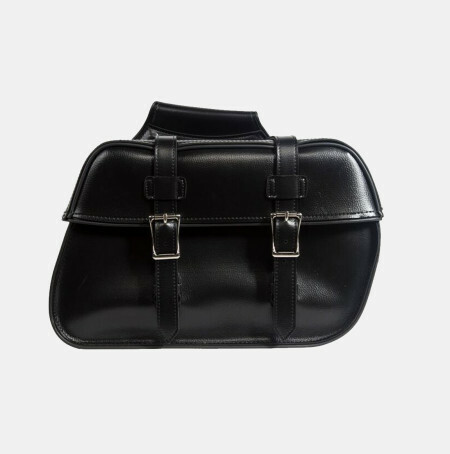 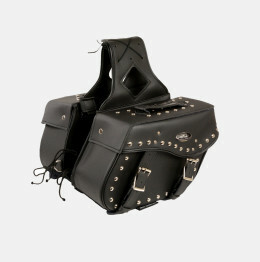 The 4 tie down ribbons on each side allow for extra security of the studded saddlebag. 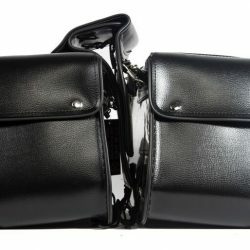 The bad holds its shape and it is UV protected.